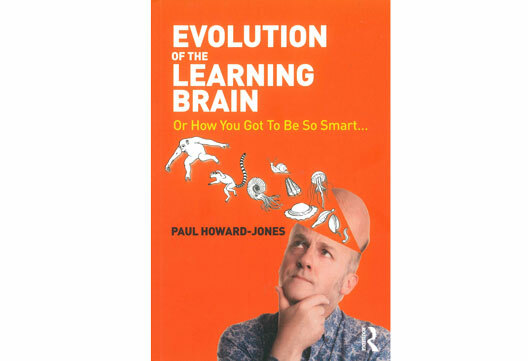 We spoke to Paul Howard-Jones about his new Routledge Psychology book Evolution of the Learning Brain: Or How You Got To Be So Smart. Could you describe the evolution of the book? Five years ago, after an education conference in Ecuador, I flew to the Galapagos Islands where the World Summit on Evolution was taking place. I was able to encounter the island’s wildlife alongside experts who could explain to me what it meant – in terms of the origins of species including our own. It was really inspiring. Late night discussions led to the idea of tracking the evolution of learning across deep time, generating a fresh perspective on learning with implications for education. What were the main writing challenges? Drawing together insights from such a range of disciplines hasn’t always been easy but it’s been a fantastic journey. Psychology, neuroscience and education, were familiar territory – but, honestly, I’d never thought about how, or even if, a single-celled organism could learn before I started the book. I’ve been lucky to have so many expert friends fact-checking and sense-checking for me as I’ve gone along. Some of these friends include those I made on the Galapagos Islands. I wanted the book to be as accessible as a ‘pop-sci’ book, but also serve as an executive summary for researchers crossing bridges into areas they’re not familiar with – hence there’s over 700 references for those who want to dig deeper. What did you learn yourself while writing the book? Anything that surprised you? I thought I’d need to go back as far as the arrival of vertebrates to really understand the origins of learning. I was wrong! The story of learning begins with the story of life. The beginnings of the chemical signalling that features in our own learning brain can be found helping the simplest bacteria to remember their last meal. The other thing that surprised me is how the social brain hypothesis, as means for understanding human evolution, has developed into a narrative with cultural learning at its core. Culture has elevated us to top predator while our brain is not as special as you might think. Ours is only the brain to be expected from a primate with a brain our size. The book is subtitled ‘Or How You Got to Be So Smart…’. How smart do you think Homo sapiens really is? Good question. Early on, learning is introduced as the ability that allows an organism to respond appropriately to changes in its environment. On that basis, we’re going to have to get a lot smarter, since our behaviour is destroying the environment we depend on. That’s no smarter than sawing off the branch you’re sitting on. In the final chapter, I look at scenarios for the future of the learning brain. One of these has to be human extinction – since we are now experiencing the fastest of all mass extinctions our planet has witnessed. Learning – that amazing ability we share with other organisms to transform our own behaviour – is probably the most important tool we have for averting this catastrophe. What would you say are the main psychological messages from the book? I’m hoping those who read the book will never think about learning processes in quite the same way again. Evolution emphasises how fundamental and ancient some of these processes are, including those involving emotion and movement – which are often neglected in education. And, perhaps counterintuitively, our biological prehistory strongly emphasises the importance of the social and the cultural. For example, it raises questions about how we construct notions of what is ‘normal’ and the meaning of labels such as ‘dyslexia’ and ‘ADHD’. Many of our readers will recognise you from your involvement with the Channel 4 series The Secret Life of 4 and 5 Year Olds. Any plans to bring the ideas in this book to our TV screens? Well… the evolution of learning is a story that demands visuals, hence all the drawings in the book. It would make a great documentary… let’s start off in the oceans looking at cyanobacteria, test the learning behaviour of jellyfish, check out the evolution of sleep and brain plasticity in insects, then move off to the jungle to understand how our parenting habits and social learning developed, before ending up with modern culture, books and the effects of digital technology on our learning brain. It’s a wrap! - Professor Howard-Jones features in Episode 13 of our Research Digest podcast, PsychCrunch (which is kindly sponsored by Routledge Psychology).